Not every event we cover makes it into the printed pages of Ventanas. We created this web exclusive section to showcase those newsworthy affairs. 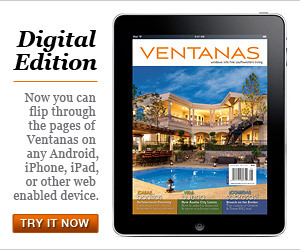 Can't get enough of Ventanas Magazine and its in-depth coverage of southwestern living throughout El Paso, Las Cruces and the surrounding region? Then you've come to the right place! In this web exclusive section, you can view additional stories and photos not found in the print version of our magazine. This bonus material highlights the many people, places and events that help to make our unique community a wonderful location to live, work and play in.